Have you ever wondered how the foods you eat and the bacteria in your gut impact your thoughts and behaviours? A study at the University of Calgary is working to explore just that. 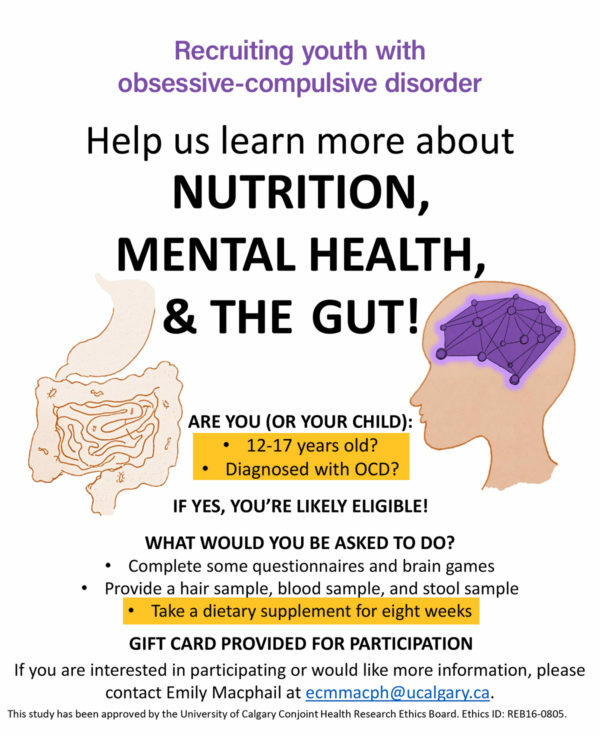 Individuals ages 12-17 are being sought for a study comparing nutritional and microbiota differences between youth with obsessive-compulsive disorder (OCD) and without OCD. This means that we need youth who have a diagnosis of OCD, as well as youth who have no history of psychiatric conditions and no other long-term health issues. 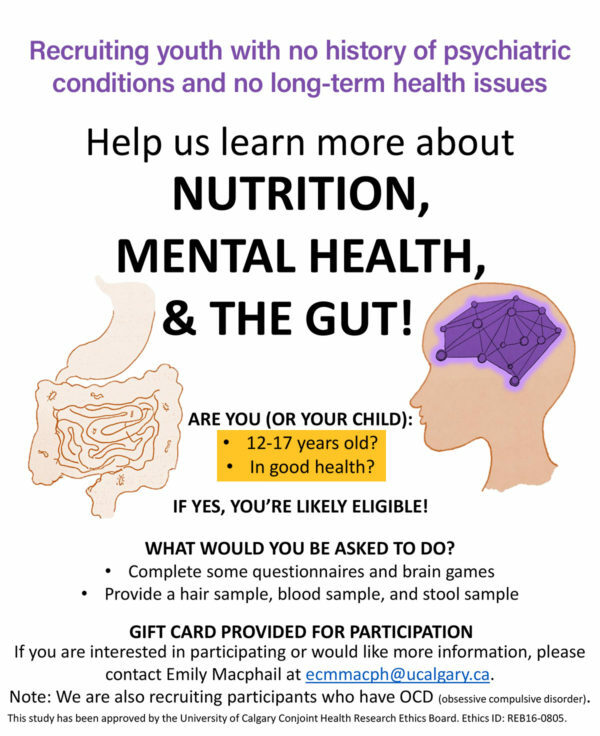 Participants are asked to speak with a researcher about their health, complete self-report questionnaires and a 3-day food log, and provide a blood sample, hair sample, and stool sample. Participants with OCD will be given the option of enrolling in an 8-week intervention to test the effects of a provided prebiotic (fibre) supplement on their microbiota and their OCD symptoms. All participants will receive a $25 gift card of their choosing (with an additional $25 if participating in the 8-week trial). Parking during study appointments is paid for. For more information, please contact Emily Macphail at [email protected].